During an annual physical, your healthcare provider may recommend a routine test of fasting blood sugar levels or FBS. Or it may be a component of an annual workplace screening to make employees increase their overall awareness of their health, and offer ways to improve it. But why is a fasting glucose recommended? Hypoglycemia or low blood sugar – A condition that causes glucose levels to fall below normal ranges. Usually caused by skipping meals or poor diet, it can also indicate the presence of problems in the liver (hepatitis) and kidneys, overmedication of insulin, excessive alcohol consumption and issues with medication. See this post for routine hypoglycemia treatment guidelines. 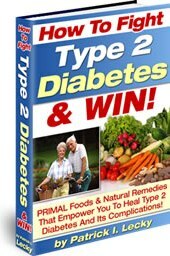 Pre-Diabetes – in 2011 the American Diabetes Association (ADA) reported 79 million individuals in the United States have been diagnosed with this condition, which can potentially develop into type 2 diabetes. See this post for more on pre-diabetes treatment options. Type 1 or Type 2 Diabetes – The former type of this disease is usually detected in children, while the latter is commonly seen in adults. However, due to increasing rates of obesity and improper diet type 2 diabetes is found in some children and teens. See this post for more on high fasting blood sugar levels. All health care providers ask those with diabetes to return for routine checkups, which includes the administration of a FBS. Although individuals with either type of this disease are asked to perform routine glucose testing throughout the day, some skip routine testing or mismanage the monitoring the disease. A test performed and reviewed by a physician will give both the individual a complete picture about routine care and any potential risks. Routine monitoring of fasting blood sugar levels is especially important in teens with diabetes. Because the body is undergoing rapid changes the level, type and administration of insulin may require some modifications or complete alterations. An individual who receives results that fall outside normal fasting blood sugar levels will require repeat (and possibly additional) testing. In some cases the abnormality may be a one time occurrence due to improper diet or skipping meals the day before. A repeat test will confirm the accuracy of the results, and indicate if any action should be taken. If diabetes is suspected, a physician can order a hemoglobin A1c and/or glucose tolerance test. This can provide a larger overview of sugar levels over the past 2 to 3 months, indicate diabetes or pre-diabetes, and regulation of insulin levels by the body. You may want to see this post for more on what normal blood sugar levels are and this post for more on lowering blood sugar levels naturally. To diagnose hypoglycemia or low blood sugar, a physician will use a method of diagnosis called a Whipple’s triad. This will determine what symptoms are being experienced by the individual, when they appear and when they dissipate. Based on the results, additional testing may be performed. Fasting blood sugar levels should be checked on an annual basis for healthy individuals, and performed with increased frequency in those with signs of pre-diabetes, hyperglycemia (diabetes) and low blood sugar. Even though this test is relatively simple, it can prevent the formation of dangerous conditions and maintain optimum physical health. For at home testing see this post for our recommended at home blood glucose montitor.